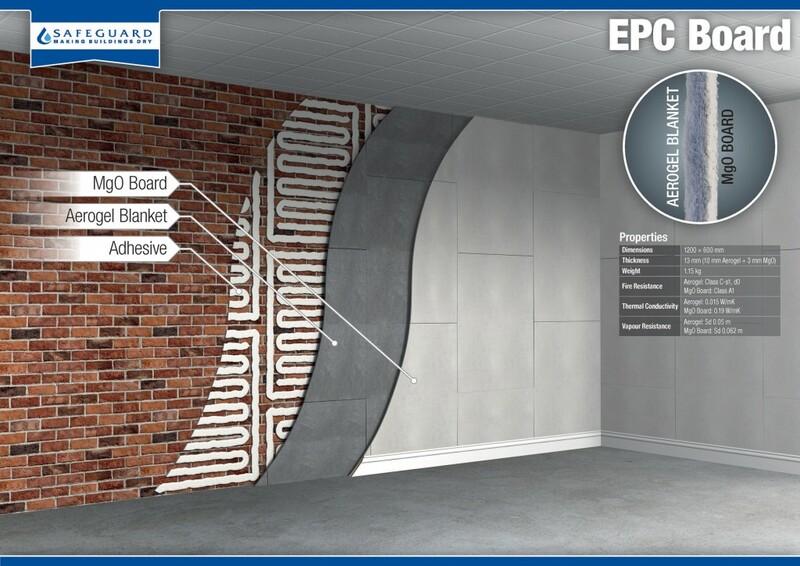 Safeguard Europe has developed a cost-effective system to improve the energy efficiency of solid-walled properties, courtesy of Stormdry EPC, which comes as the new Minimum Energy Efficiency Standards (MEES) relating to rented properties have taken effect. The new standards, which originate in The Energy Act 2011, state from April 1st this year, any commercial or residential property that is being let for the first time, or where a lease is renewed, must achieve an Energy Performance Certificate (EPC) of Grade E or above. The rules will extend to cover existing leases from April 2020 for domestic properties and April 2023 for commercial ones. Historically, properties with solid walls, rather than cavities, have proved most difficult and challenging to insulate. Typically for these properties, 54% of heat goes through the walls, a figure which can rise for end-of-terrace homes or bungalows. Stormdry EPC provides landlords, and other property owners, with a cost-effective way to improve the thermal performance of solid-walled properties, offering an alternative to conventional solutions such as external wall insulation (EWI) and standard internal wall insulation (IWI), which can be expensive, disruptive or both. 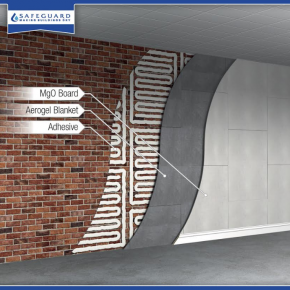 The system combines two Safeguard technologies to treat a wall both inside and out: Stormdry masonry cream and a ‘skinny’ IWI panel. Stormdry masonry cream can be applied with brush or roller to brick, mortar, sandstone or concrete. It provides a breathable membrane, coating the inside of the pores of the substrate so water can evaporate out through it but cannot penetrate in. This means that, unlike some competitor products, it can be applied to wet walls because it will allow the water to evaporate out. Applying Stormdry alone would give a substantial energy efficiency boost for properties suffering from rain penetration. A dry brick wall can provide up to twice the thermal insulation of a wet one. The IWI comes in 13mm-thick flexible panels which can be stuck straight onto existing walls. It is made from an aerogel, which has extremely low thermal conductivity due to its highly porous nature. Its super-slim profile means that a room’s dimensions are barely diminished and that period features do not have to be sacrificed. By using trim beads, it is even possible to leave features such as skirtings and covings in place, rather than having to remove and reinstate them. Once in place, the tiles can be skimmed with plaster.